A significant number of Georgia settlers migrated from South Carolina and North Carolina, especially in the 1830’s at the time of the Land & Gold Lotteries. And many more went from Georgia to Alabama, Arkansas, Missouri, and on to Texas in the period just before and after the Civil War. Be sure to visit the neighboring state websites when researching your families from Georgia. 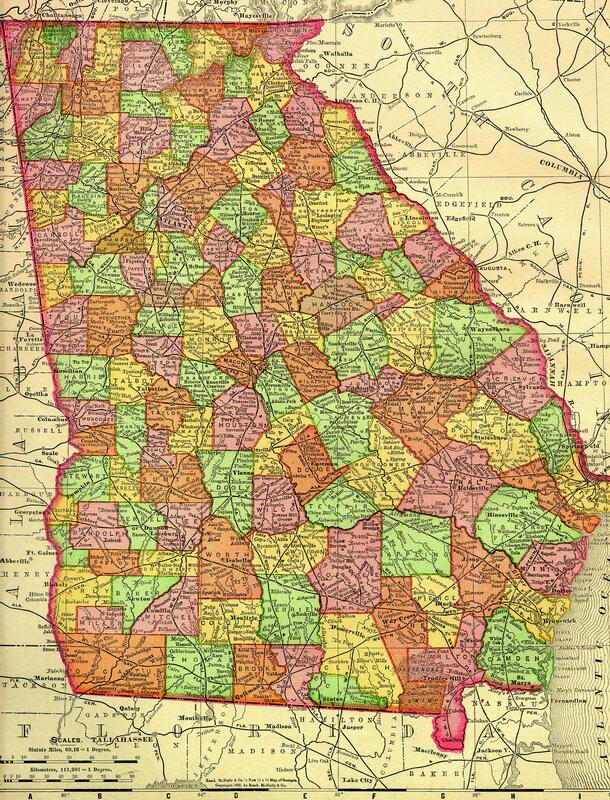 There is an offsite Rootsweb link with good information about the evolution of Georgia Counties from 1759-1932:Click to view. These records are on USGenWeb sites or on sites maintained by others and only linked to from this page. As the USGenWeb site states, “USGenWeb started branching out and some more specialized “projects” were created to collect and disseminate data that goes beyond county and state lines”. A listing of these Special Projects and their descriptions can be found on the USGenWeb site. See also Georgia Place Names on the Carl Vinson Institute of Government website. Listed are about 10,000 Georgia place names (both historical and current), with links to maps showing a majority of the places. One of the earliest maps of Georgia (CA 1745) shows the state extending west to the Mississippi. Only a strip of land from Savannah to Augusta about 20 miles wide, along with some small coastal communities had been settled by Europeans. This image, found in the Hargrett Library Rare Map Collection, is titled “His Majesty’s Colony in Georgia”. 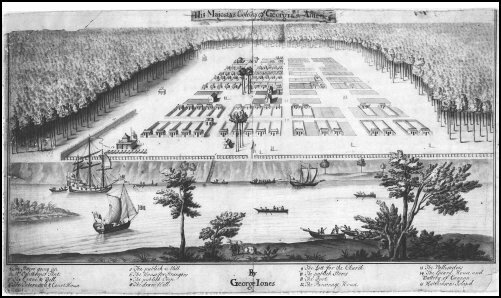 The researcher is encouraged to visit the Hargrett website (see link below) to view many more maps and early images of Colonial and Revolutionary Georgia.